Unwritten Law will release their sixth album, Swan, on March 29 on Suburban Noize Records. The independent band recently released their newest single, “Starships and Apocalypse,” off their upcoming album on iTunes February 1. The southern California quartet recently announced Warped Tour dates. 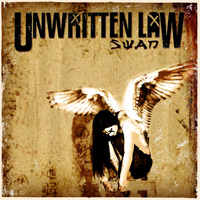 Unwritten Law asked fans to create and submit ideas for Swan album covers. The band selected 3 covers to be used for advanced hard copies, internet copies and retail hard copies, according to the band’s site. Independent band Unwritten Law will offer their newest single, “Starships and Apocalypse,” off their upcoming album, Swan, on iTunes February 1. The southern California quartet, Unwritten Law, recently announced Warped tour dates. The indie band is currently finishing up their sixth distorted album. The album is expected to be released in the Spring of 2011 via Suburban Noize Records. Stay tuned about album news and more tour dates at UnwrittenLaw.com. You can purchase tickets for Australia shows at MoshTix.com. Disco Curtis just finished rocking the 2010 Vans Warped Tour this past weekend and the band could not be happier with the summer tour. 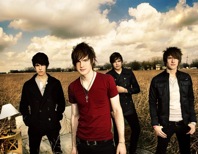 Crowned one of J-14’s Hot Band Alert’s, fans across the country crowded the stage to see them in action. Having previously toured with Boys Like Girls, Forever The Sickest Kids and more, the indie band was stoked to be back on the road playing the summer away at Warped Tour. The Summer Set have released their new music video for “The Boys You Do (Get Back At You)” and also have released a deluxe edition of their album Love Like This through Wal-Marts around the country. The deluxe edition of Love Like This includes a free disc of the five Taylor Swift cover songs they performed at the 2010 Hoodwink Festival. The free disc entitled Love Like Swift is now available exclusively at Wal-Mart and Walmart.com for $10.00! Fans who pick up the limited edition album automatically have the opportunity to enter into an exclusive contest: Anyone who submits a photo of themselves holding a copy of the deluxe CD will be entered to win a pair of tickets to Warped Tour and a phone call from the band. A new winner will be selected every week for the duration of Warped Tour. Arizona pop independent band The Summer Set have released a behind-the-scenes exclusive video for “The Boys You Do (Get Back At You).” The music video for “The Boys You Do” will debut on July 6th. 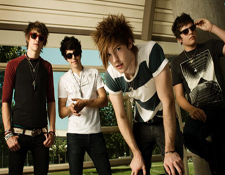 After an extremely successful run on the Spring 2010 AP Tour, The Summer Set is set to take the summer by storm. The indie band is joining an all-star lineup at the 16th Annual Vans Warped Tour, have their hit single “Chelsea” available on the popular Rock Band Network, recently played the Bamboozle, Bamboozle Left and Hoodwink festivals, and were the featured performers at the CBS College Sports Network’s Alt Games in May. Disco Curtis will be supporting Co-Headliners Eye Alaska and Rookie of the Year on tour kicking off on April 8th in Wichita, Kansas. The independent band recently released their video for their new single “Ashley,” which won MTVU’s The Freshmen and is now in rotation on MTVU. Disco Curtis was most recently signed to MySpace/Interscope Records and debuted their music video for “Ashley” on MySpace racking in over 44,000 plays its first week. Today, the band currently performs songs off their debut EP Play With Fire Get Burned which is available now via itunes.